It’s important that your business is not left behind by the current techniques and best practices used in the market place today. Presently, we are experiencing the wonders of our digital time and this keeps on advancing and improving. This can be seen in a particular area like in email marketing. 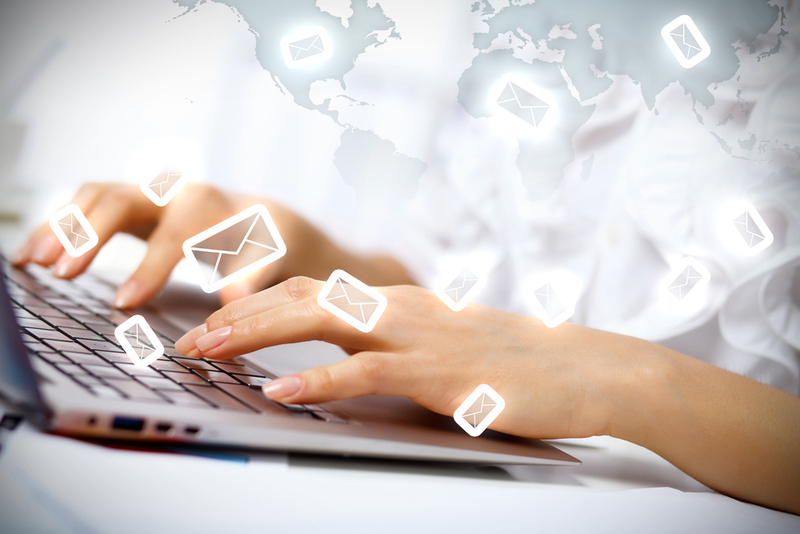 You can be more efficient in your marketing with the help of this current email system. But there are things to know first and understand before your efforts can be rewarded. 1. It pays to personalize your email. In the past, email marketing was just a basic sending and receiving of electronic messages, with limited categories and data to store. Email customization was accomplished manually requiring long hours of monitoring for visitors who signed up in your website. The procedure was tedious, slow and time-consuming. But today, the new trends of email campaigns have enormously grown further. What it can do now is far beyond what it could accomplish in the past. By using the automated personification and automation, the previously complicated email marketing has been simplified. Today, the task is totally plain and simple. The process has been automated and can easily identify the users who visited your site, who signed up and navigated on your webpages. Successfully, technology has instantly advanced and made everything automated to save more time and get the most of your campaigns. The process requires just enough time in setting up the system for email triggers and workflows. You need to create lists and the procedure goes beyond the usual personalized email. As a result, you’re rewarded with more click-through rates, open rates and finally with a new experience for your visitors. 2. Speed up your email’s loading time. During the early years, emailing system was all about simple text content. But everyone can notice the big difference now when majority of emails include images and graphics within their content. So if your business is about technology, you have to use emails that showcase the advancement of technology and the expertise you have. Make sure the recipient of your email can instantly open your message with loading time that works—it means with higher speed. Opening your email should not cause customers to feel annoyed because of the slow time to load. 3. Give more focus on proper scheduling. In general, scheduling and proper timing are important elements that contribute to the speed of your emailing efforts. So you need to know the proper time to schedule your campaign. In the past, receiving a single email per day was good enough when offering goods and services. However, things have changed in time and made things more unsafe. If you send multiple emails today, then you’re a candidate of being considered as a spammer. Spam emails are everywhere and they continue to grow as a means of getting quick sales and customers. But the problem is, spam results to a negative reputation. Flooding your recipients with emails will not result to anything worthwhile for your branding. Worse, it can result to negatives things that have an effect on your previously successful email marketing. It’s better to focus on your schedules, time and high value for your email content. 4. Use other platforms to open your emails. Today, emails can be opened and read by using other platforms—in addition to the email address account. Therefore, it’s a must that you reach your target market quickly and be able to check things easily. You must know how to find out if your emails are accessed, read and given action by your recipient. Some time ago, no enough platforms were available to check out your emails, but only through Gmail, AOL and Yahoo. These major platforms could help a lot to see if your messages were read. These days, more and more platforms are being introduced in the market to help optimize your email messages. It’s now possible by using any device and platform available. You can now see if your email has reached the people in your demographic using the MailChimp tool. Use it to double check the results in your email campaigns. Keep in mind that if your emails fail to reach your market, it’s not doing you any good. If your prospects can’t open or read the messages, your credibility and brand are given poor impression. As stated earlier, the previous email system was just plain and simple. Text only was enough to do the email campaign. This was the past practice of business to business activities which include the emailing techniques. The format was personalized and standard with ordinary text that can be printed. However, email campaigns have evolved and now the use of imagery is well-accepted globally. It displays your goods and services, your visual materials that attract attention and your “call-to-action” button to lead people to try your product. One thing to take note: if you have plenty of digital photos that require people to scroll down several times, your purpose of seeing your “call-to-action” button may be difficult. The amount of images you include in your email has either good or bad effects. Still the general rule applies: moderate amount is the secret. What the new email marketing system is offering now is to maintain things in order. Keep good content with images on the top of your email message, with the “call-to-action” button below. With the advent of various devices with different sizes, make sure everything is visible and responsive to make the most of your current email marketing.